Following many years of rapid expansion and growth, Qatar’s “look ahead” plan now places significant emphasis on the preservation of the natural heritage of Qatar and protection of the environment including air, land, water and biological diversity. One of four facets of the Qatar National Vision 2030 is the encouragement and promotion of environmental institutions: institutions that build and strengthen public awareness about environmental protection and the greater use of environmentally sound technologies. It recommends the formulation of a comprehensive urban development plan for Qatar that adopts sustainable policies for urban expansion and population distribution. A year on from establishing a practice in the region, as engineers and environmental designers we see many opportunities to share our knowledge and experience within the scope of QNV 2030. This is best illustrated by our appointment to contribute to the Urban Design Compendium for Qatar. The Urban Design Compendium seeks to establish livability and sustainability as the main criteria for urban design best practice in Qatar. “Qatar has considerably increased its efforts aimed at protecting the environment and fostering a culture of sustainability”, Qatar Green Building Council (QGBC) director engineer Meshal al-Shamari said at a recent conference, “Continuing to play a significant role in the green sector, the government has established multiple campaigns focused on raising awareness about energy and water consumption. The same efforts have been extended toward the construction and waste management sectors”. It is against this backdrop that we have forged relationships with organisations such as the QGBC and the newly formed CEBRE (Constructing Excellence in Qatar powered by British Research Establishment) promoting excellence in delivery across the sector in Qatar. Despite weaker activity in both the manufacturing and oil sectors, the Qatari economy expanded by 4% in the final quarter of 2015 according to the Ministry of Development Planning and Statistics, mainly driven by sectors other than the energy sector. Qatar’s successful bid for the 2022 World Cup is accelerating large-scale infrastructure projects which include the light rail system, metro system, construction of roads, a new port, stadiums and related sporting infrastructure. Qatar has undertaken a number of structural reforms intended to enhance the entrepreneurial and investment regimes, aiding the transition away from dependence on the hydrocarbon sector. As such, Qatar aspires to be a leading financial and business hub, facilitating private-sector growth outside of the oil and gas industries. MANATEQ, Qatar’s largest master developer of economic zones is tasked with spending over QAR 20 billion on the development of three new sites that will collectively cover an area greater than 70km². 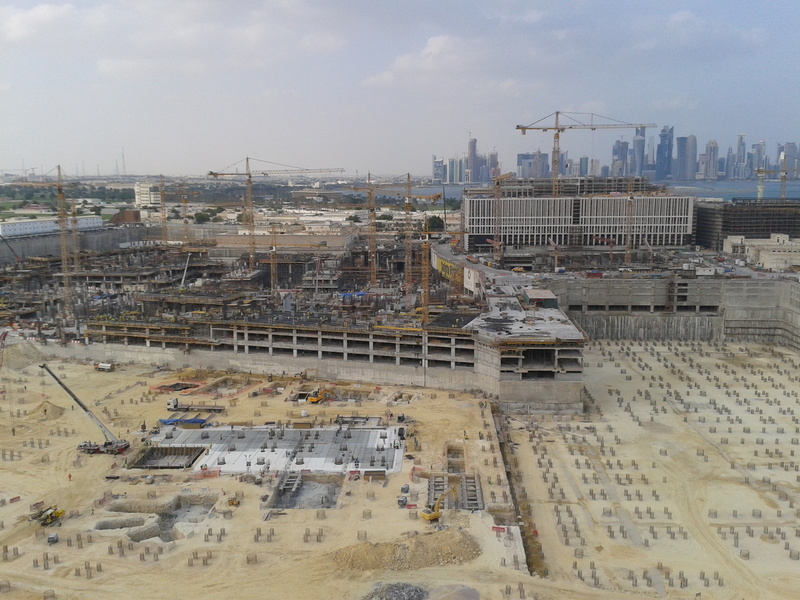 We are currently designing eight commercial buildings on one of the sites, Qatar Economic Zone 1 (QEZ1). It has been a challenging year for us. We are a new consultancy in Qatar and one that promotes healthy buildings and sustainable engineering in a country where energy prices and petrol are low. At QAR 1.33, petrol is around 25 pence a litre. Having said that, we are encouraged by the interest shown by some to develop environmentally sound buildings. We have a small team at our offices in the Msheireb area of Doha where we abide by our principles of conserving energy and operating efficiently. We recycle paper and operate our lighting and air conditioning only when necessary. We are exploring ways to recycle paper gathered from the many tenants in our building. We participated in the QGBC “Paperless Day Event” event in April, ensuring that our photocopier remained dormant the whole day! At a recent meeting with us, a Qatari businessman expressed his preference for international consultants who have a presence in his country, living here and understanding their way of life, allowing that to influence the way buildings and suburbs are shaped. Qatar enjoys paradisiacal weather for three to four months of the year and integrating the indoor with the outdoor makes a building far more inviting to occupants. This is only understood by someone living here. We discussed masterplans that emulate the sustainable villages of old, with narrow “sikka” (shaded alley ways) that open out to a “baraha” with a mosque and amenities, minimising long car journeys to destinations. It is heartening to hear such values and sentiments expressed, supporting our approach to masterplanning. 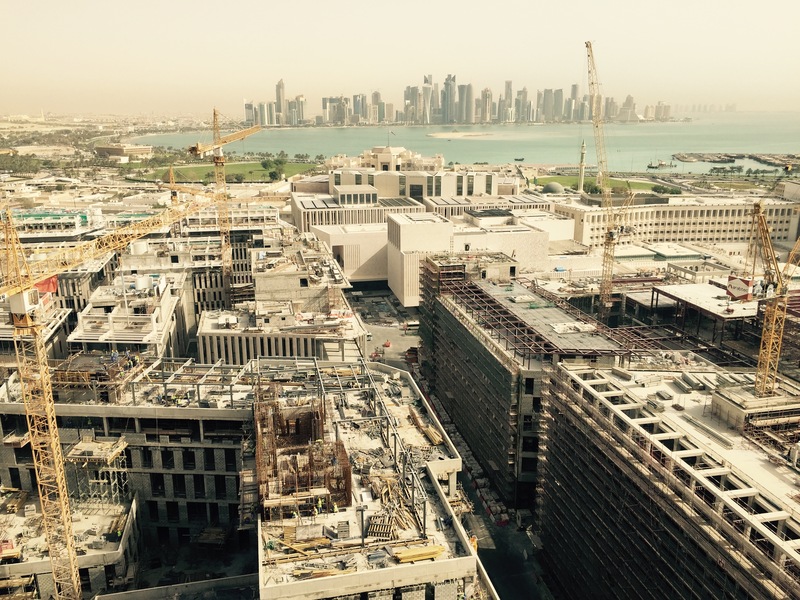 We continue our presence at the Msheireb Downtown Doha project as the LEED Consultant for Phase 3 of this 26-hectare sustainable regeneration project that dominates the skyline in the centre of Doha. LEED Gold is targeted for all buildings on this impressive site, where some buildings have already been commissioned and occupied. We look forward to a busy year ahead while bidding and working on projects in a region that is placing sustainability high on the agenda for future developments.